Doodle hand drawn sketch isolated on white background. 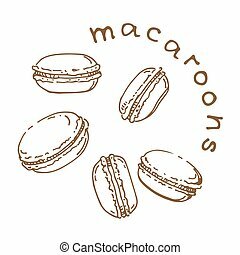 Fresh bakery for coffee or tea: macaroons. Design elements for cafe menu, fliers and chalkboards. 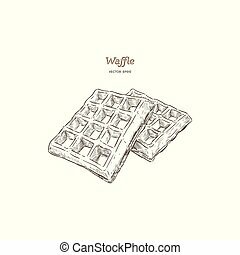 waffles, hand draw sketch vector. 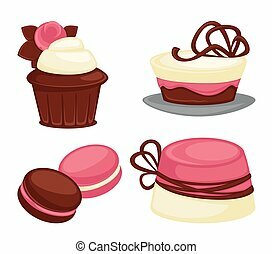 Bakery cakes icons set. Vector illustration. 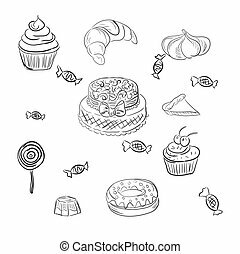 Various sorts of bread. 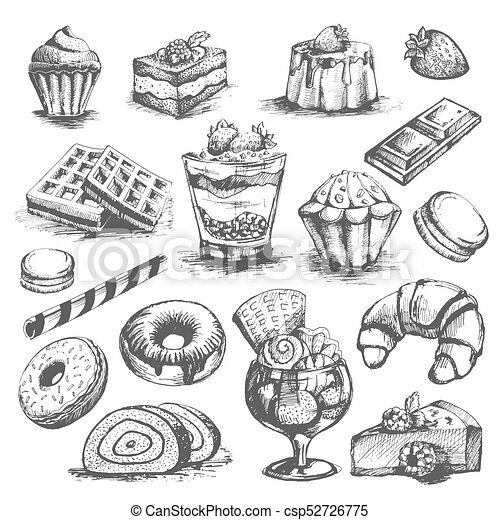 Bakery or pastry product types. Vector icons set. 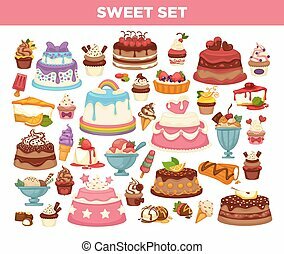 Dough, cupcakes, sweet buns, cakes situateble for bakery shop. Vector Illustration. 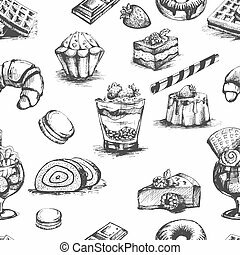 Food design elements. 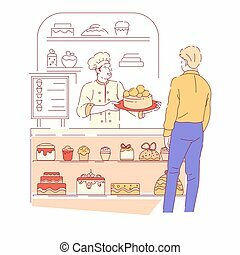 Baker and customer bakery shop cakes and cupcakes showcase vector craft confectionery products menu signboard desserts crafted pastry food meal or dish cream or icing and chocolate male characters. 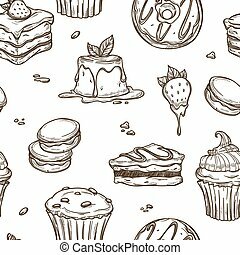 Bakery logotypes set. 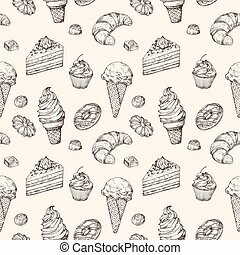 Bakery vintage black and white design elements, logoss, labels, badge, icons and objects. Vector Illustration.